What is Unified Threat & Security Management? UTM solutions emerged out of the need to stem the increasing number of attacks on corporate information systems via hacking, viruses, worms - mostly an outcome of blended threats and insider threats. Also, newer attack techniques target the user as the weakest link in an enterprise, the repercussions of which are far more serious than imagined. This has now been ported over to applications in which it is now beneficial to residential and family services alike. With the porting of systems Like Comp-Guard we can effectivly manage and control the content that comes through your entire network. With our UTM system installed on your network you will notice that Ads, Spyware and Malicious software that would potentionally infect your computer will be completely blocked. Our UTM systems are very easy to Administer and will simplify your every day usage and computing needs. With Compu-guards Unified Threat Management System ( UTM) installed in your network it will simply eliminate the threat of comprimising network traffice that often degrades the service of any machines with in the network, once your systems have been cleaned they will remain clean. Our UTM not only monitors Web traffic but it also monitors any mail coming through out your system, it protects your network from any unwanted intrusions from an outside source that can attempt to gain access to your systems and cause malicious harm. 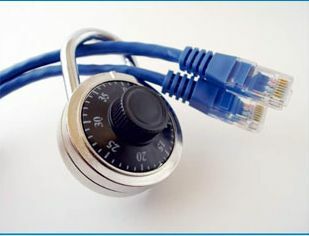 Why should you choose us to Secure your systems? Any system that is located in your home can easily be comprimised. with our systems all the the possabilities of yoru child gaining access to the protective systems are not possible. Our systems are not there for them to comprimise. They can not gain access to our systems therefor making them out of reach and making the security that we place inside your systems un-detectable and they can not bypass them at all.